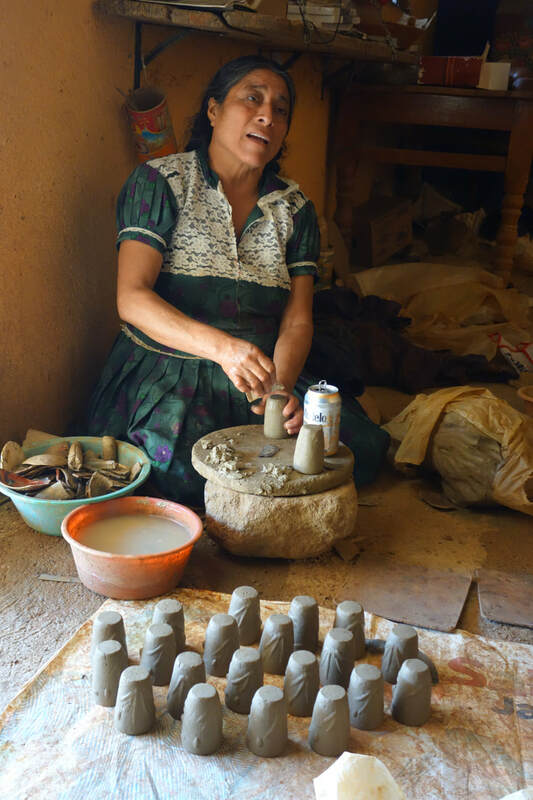 Spend the day understanding more about mezcal culture, production, and traditions of Oaxaca. If learning about mezcal, agave, the culture of palenqueros and their families, etc., for whatever reason, is a priority during your visit to Oaxaca, it is strongly suggested that you reserve a date for a mezcal tour / excursion, prior to booking your flights. Of course if it just wasn't practicable to do so reasonably far in advance, do still try to arrange a day or two with us. No mezcal distillery tour in Oaxaca is exactly the same. Why? Because we do not take our clients to any of the typical palenques along the traditional craft and sightseeing tour routes, where mezcal is made for predominantly the tourist trade, and the process, while real, is nevertheless somewhat arranged with a view to illustrating the process and making a sale. Yes, general tours which stop at a distillery en route definitively have their value in the marketplace, and provide an excellent service to those interested in that kind of experience, but that is not what we do on our mezcal educational excursions to traditional, real palenques. Special group mezcal tour November 29, 2019: If you are considering a visit during Autumn, 2019, more particularly during or about the American Thanksgiving holiday weekend, inquire about our larger group mezcal educational excursion, a very long day going deep into the Albarradas area of Oaxaca, leaving about 7 am from the city of Oaxaca, and returning after about 12 hours or more, with traditional breakfast at a roadside comedor, and comida prepared by the family of a clay pot distiller. Both clay and copper distillation will be explored, explained, with loads of sampling, and significant buying opportunities if the inclination strikes you. While this type of excursion, combining different visitors to the city is not our typical expedition, because of the high demand for what we offer, and so as to enable us to accommodate more requests, we offer this tour once annual over Thanksgiving. Our clients are never, ever, under an obligation to purchase anything, and we ensure that there is never any pressure to buy. If they do, however, want to take home mezcal from a small distillery (and it is often small batch spirits with unique nuances that are simply not available outside of Mexico, or that cost a fraction here in Oaxaca of what it costs in the US, Canada, Australia, the UK, etc. ), it will likely be bottled in a rudimentary fashion, even in plastic jerricans, in either case prohibited from being taken out of the country. ​So what we do as a service to our clients, is offer to have their purchases re-bottled in glass, with seals, tops and labels, thereby enabling them to take their purchases out of Mexico. 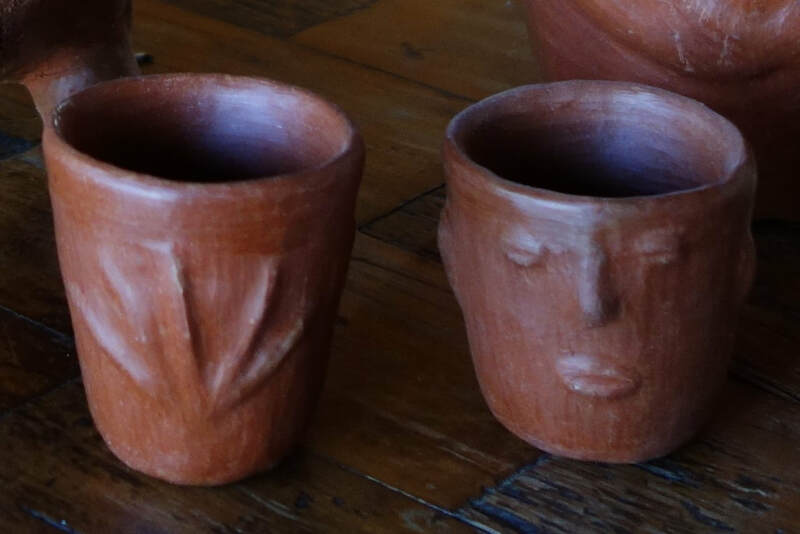 ​It is difficult if not impossible to go to a single traditional palenque and witness all the stages of the mezcal making process (unless at a facility designed for the tourist trade, and even then ….). Accordingly, we do our best to illustrate all the stages of the process by visiting a number of small, family owned and operated production facilities, mom-and-pop operations if you will; mezcal made by Oaxacans, for Oaxacans. ​In this way, if one palenque is in the process of baking agave and distilling, another will likely be involved in cutting or mashing, and/or fermenting. The point is that by visiting a number of modest, quaint family distilleries, by the end of the day our clients will have had an opportunity to witness virtually every step in the process of producing the spirit. 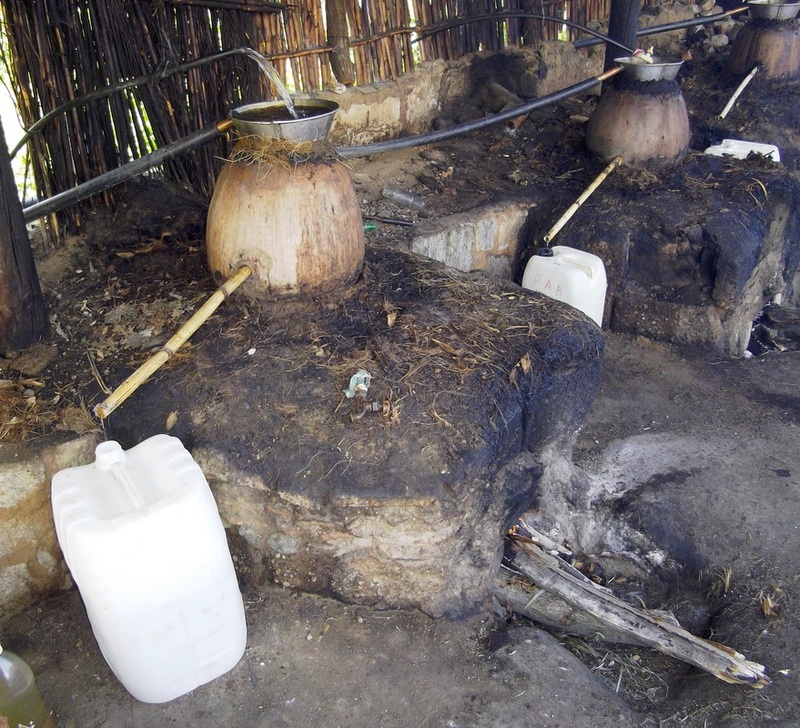 We also ensure that our clients have an opportunity to learn about the two main distillation processes employed in making artisanal mezcal – clay pot distillation, and the use of traditional copper stills. Each palenquero, regardless of principal production method, has his own idiosyncratic practices, which are explained. ​For those interested in viewing a hybrid operation, something more industrialized than purely handcrafted mezcal, we are generally able to enter one such facility owned by friends of Alvin.. Since one never knows with certainly what variety of mezcal will be in production at any given palenque using what species of agave, we always bring along on our excursions a sample case of nine mezcals, just to ensure that our clients are able to taste and discuss the nuances of a diversity of product. But usually, along one of our typical routes, if not currently in production then stored away and ready for sampling in one small rural factory or another, is espadín, tobalá, madrecuishe, reposado, añejo, pechuga, and if we're lucky tepeztate or jabalí. 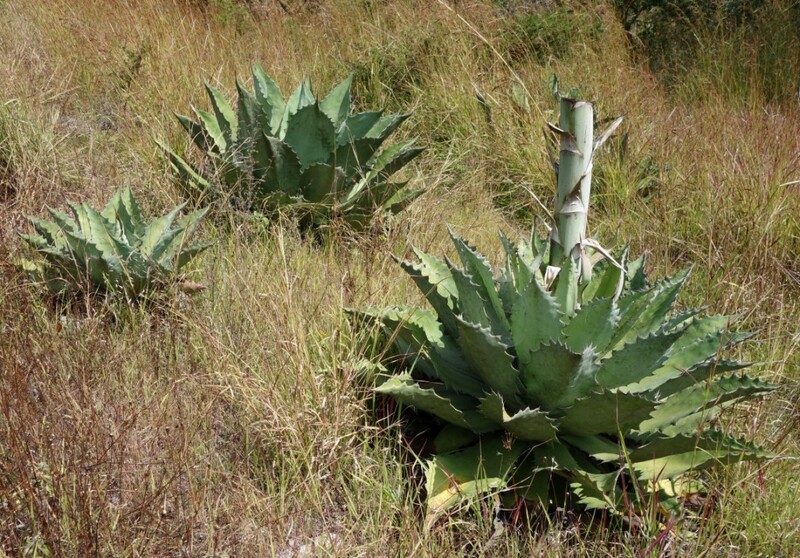 ​And each product will undoubtedly have a different character depending on the type of still used, from where the agave has been grown and harvested (i.e. the terroir factor), where it is produced (local environmental yeasts which in fact can change seasonally), and the sometimes subtle differences in the recipe followed by each producer, passed down from generation to generation. We do not always take our clients to the same palenques. 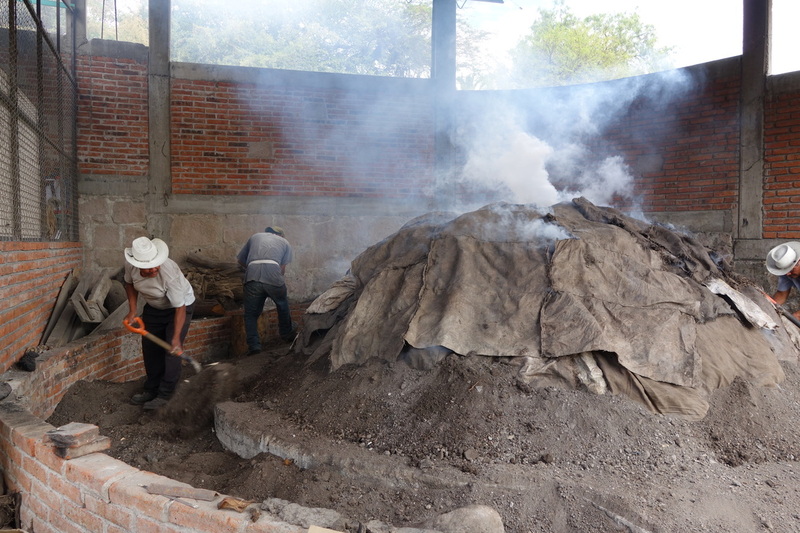 For example, if for some reason we have not been able to illustrate a horse pulling the tahona (large stone/concrete wheel used to crush baked agave), and we spot an otherwise unknown palenquero engaged in this stage of the process, we will stop by to explain what is happening, give our clients an opportunity to photograph or film, sample of course, and so on. ​So one of the main objectives from our perspective is to do our best to ensure that our clients get to experience each and every phase of production. If clients are pressed for time on a particular touring day, or they have asked us to stop at other sights close to our planned mezcal route (i.e. at a particular craft village or other attraction illustrative of other aspects of the culture of mezcal and/or agave), or they have requested a trek out into the countryside to participate in the harvesting of aguamiel, sometimes a second mezcal excursion date is in order; or is simply requested. For a second day we usually suggest a village further out from the central valley producers, such as Miahuatlán, Sola de Vega, San Bernardo Mixtepec, San Luis del Río, Santa Catarina Albarradas, towards the Mixteca, or San Juan del Río, and stops en route..
We ensure that our clients are given the opportunity to interact with the producers, and whenever possible their families as well. We take you not only to their palenques, but also, just for the asking, into their homes, and at times into their kitchens. For those interested in craft beer, for groups of five or more we can occasionally offer a Mexican craft beer pairing with Oaxacan regional cuisine as a late afternoon luncheon at the end of a day's touring, in a lush setting prepared by a traditional Oaxacan cook. One of our favorite end-of-the-day stops addresses those who are interested in agave paraphernalia and collectibles. 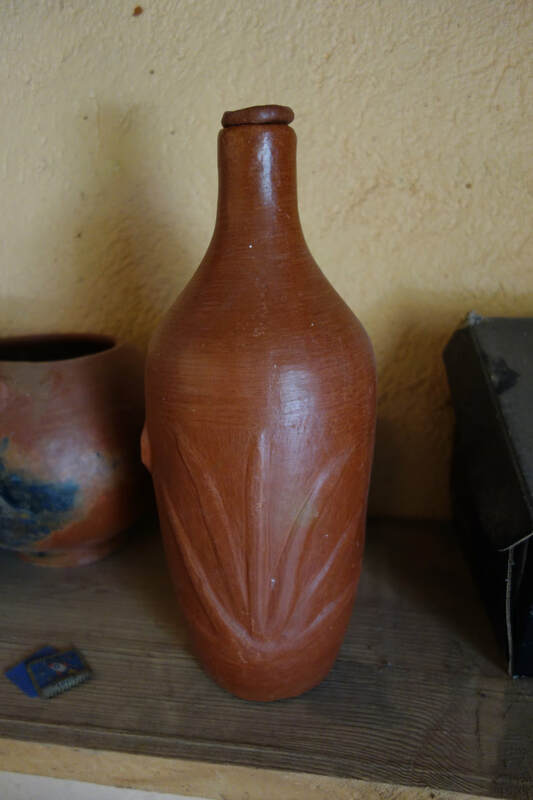 In the red clay pottery (barro rojo) village of San Marcos Tlapazola, there is a humble unsung family of potters who quietly made pitchers, pots, copitas (small vessels for drinking mezcal), without the use of a wheel, in their modest homestead, with agave themes incorporated into their pieces. 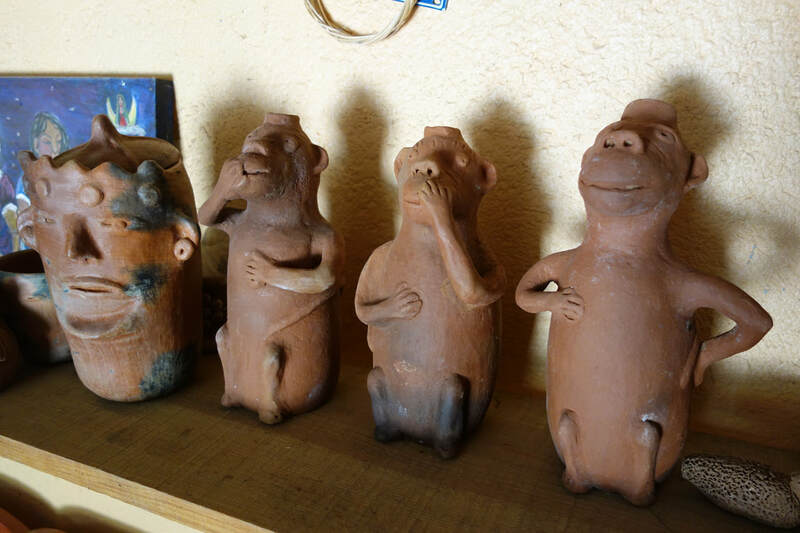 They also craft chango mezcaleros; Mexican folk art at its best! The women are truly innovative, and their work is unique, exquisite, and one-of-a-kind. And clients can witness how they work. It does extend the length of the day, but for all who attend it's a once in a lifetime experience, and presents an opportunity to learn and to augment one's collection of maguey-related pieces. OUR MEZCAL EDUCATIONAL EXCURSIONS OF OAXACA RANGING FROM ONE TO FOUR DAYS (AS WELL AS WEEKLONG PACKAGES DESCRIBED ON A SUBSEQUENT PAGE ON OUR WEBSITE), FROM ONE PERSON TO A GROUP OF 18, PICK-UP MORNINGS, DAILY AT 10 AM, FROM YOUR LODGING IN DOWNTOWN OAXACA, TRAVELING INTO THE HILLS AND RURAL COMMUNITIES OF THE CENTRAL VALLEYS OF OAXACA AND FURTHER BEYOND. 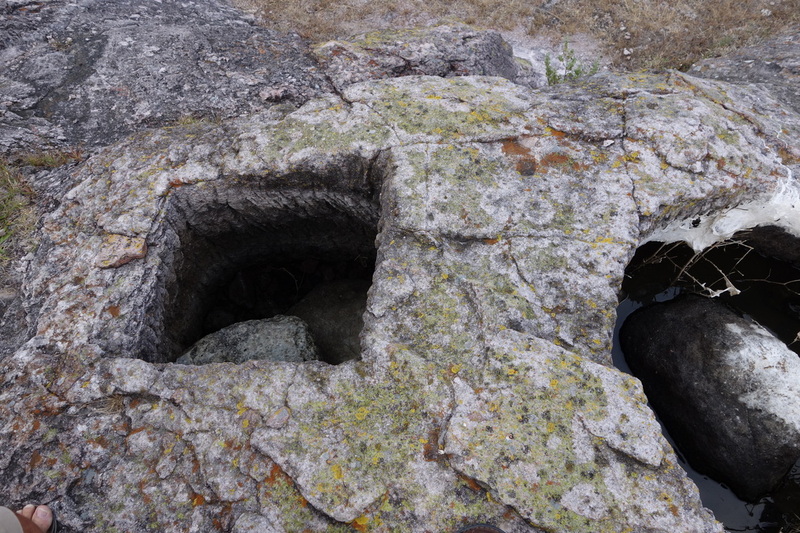 LEARN ABOUT THE CULTURE OF MEZCAL AND PRE-HISPANIC FERMENTED BEVERAGES (I.E. 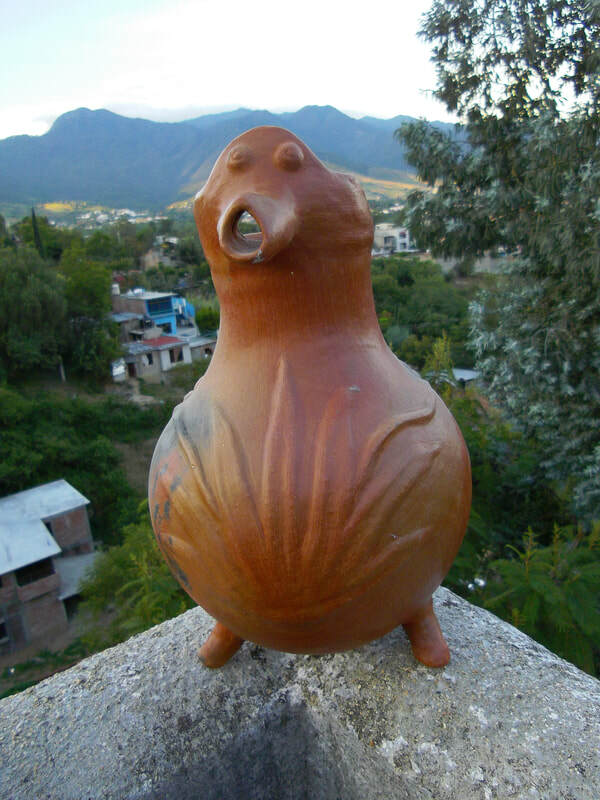 PULQUE).